Boatmen navigate a Hikifune boat loaded with people at Nabejiri in the rapids of Hozugawa River in Kyoto. For centuries the river was used to transport goods like rice, barley, wheat, charcoal and timber. 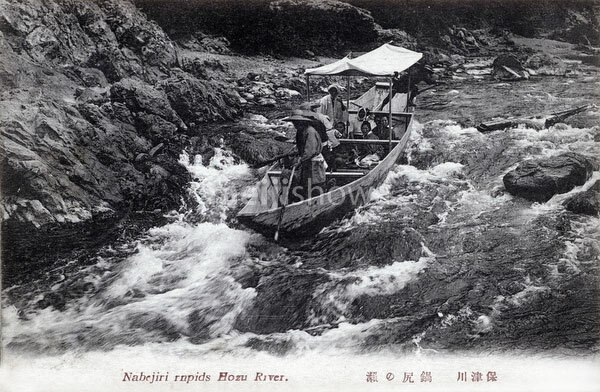 But from 1895 (Meiji 28), the 2 hour trip down the river became a popular tourist attraction (Hozugawa Kudari).